Aries : If you are not happy at work, take immediate action. Change it forever. Health is satisfactory. Love life just begins to sparkle, go slow when it comes to promising more than you can deliver. Taurus : Situations change. You may feel out of control. It's tempting to work harder. One step at a time ensures success. If indecisive, try not to get influenced by opinions of persons who do not matter in the bigger picture. Gemini : Life is wonderful and you feel on top of the world about your personal life and the domestic bliss you have been working towards get all right. If employed a current project may require special attention. Cancer : Business people plan to take a calculated risk after much thought today, which will prove beneficial, travel for some could be postponed due to unavoidable circumstances. 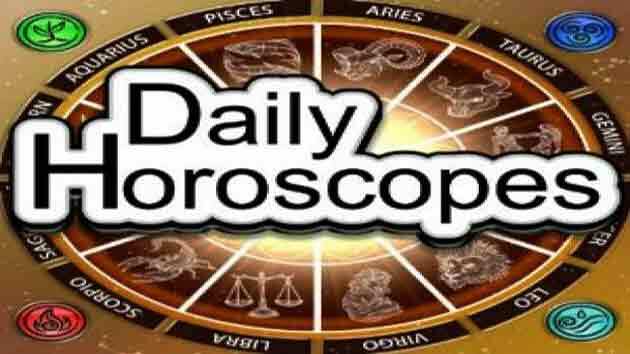 Leo : Big life decisions are on the cards today, approach them with patience and precision, those who desire to go overseas for work will be busy with loans and last minute formalities. Virgo : The going gets tough and the tough get going more than ever fighting against all odds then give shape to their dreams and goals, health needs constant care and a second medical advice in certain cases is advised. Libra : Work and travel are your focus and you are ready to dive in and try your luck enjoying both, some of you receive much awaited news of a happy kind from family overseas and feel positive all round. Scorpio : All masks fall off and you have to deal with demons you had rather run away from. There will be a new beginning in every area of your life. Sagittarius : Easy going and full of faith in yourself, you make moves towards growth that may take time to show up in business. But nevertheless your focus is on a bright and steady future that you realize is around the corner. Capricorn : All you want is control and power. Ready to do what it takes to rule the world. Man proposes. God disposes. Try you best. Leave the rest to an understanding intelligence that knows what's best for you. Aquarius : Many a business seminar/meeting is on your agenda and you do your best to give it your best knowing it will enhance your knowledge and your present interests. Health and recurring ailments require a second medical opinion. Pisces : Your domestic life starts settling down in new routine making you satisfied, as your concerted efforts seem to be working in the right direction.